David Rothman gives us a brilliant, finely etched study of medical practice today. Beginning in the mid-1960s, the practice of medicine in the United States underwent a most remarkable--and thoroughly controversial--transformation. The discretion that the profession once enjoyed has been increasingly circumscribed, and now an almost bewildering number of parties and procedures participate in medical decision making. 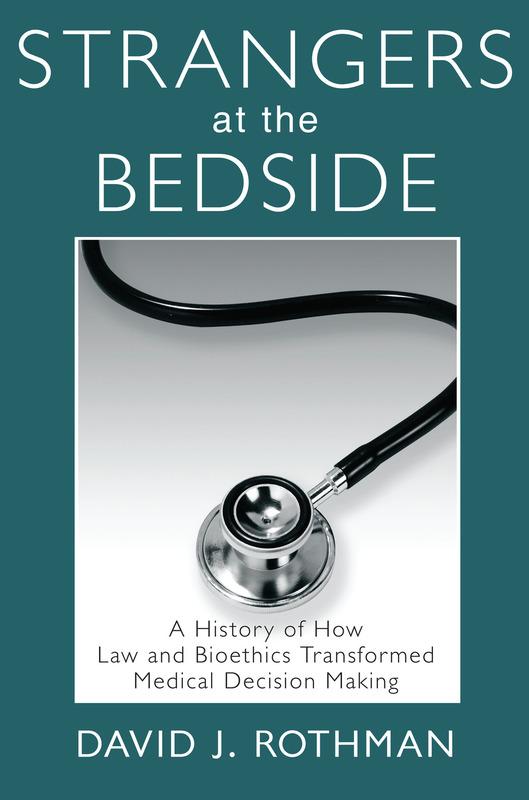 Well into the post-World War II period, decisions at the bedside were the almost exclusive concern of the individual physician, even when they raised fundamental ethical and social issues. It was mainly doctors who wrote and read about the morality of withholding a course of antibiotics and letting pneumonia serve as the old man's best friend, of considering a newborn with grave birth defects a "stillbirth" thus sparing the parents the agony of choice and the burden of care, of experimenting on the institutionalized the retarded to learn more about hepatitis, or of giving one patient and not another access to the iron lung when the machine was in short supply. Moreover, it was usually the individual physician who decided these matters without formal discussions with patients, their families, or even with colleagues, and certainly without drawing the attention of journalists, judges, or professional philosophers.